BJP MP from Mathura, Hema Malini advised people to not feed monkeys samosas or frooti but give them fruits, while replying to a question on 'monkey menace'. 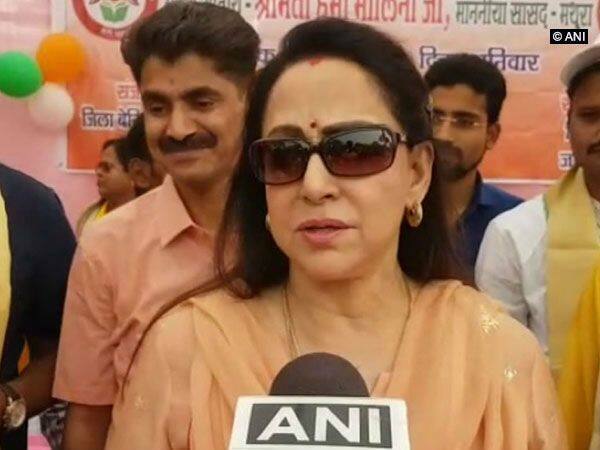 New Delhi: Actor and BJP MP from Mathura, Hema Malini, who is seeking re-election this term, reached Vrindavan on Thursday to interact with people and advised visitors to “not spoil monkeys with samosas and Frooti”, but feed them only fruits. Elections to the Mathura Lok Sabha constituency, which Hema Malini wrested from sitting Rashtriya Lok Dal MP Jayant Chaudhary in the 2014 polls, are slated to be held in the second phase of the 2019 general elections on April 18. Against Hema Malini, the Congress has fielded newcomer Mahesh Pathak while the SP-BSP alliance has given a ticket to Kunwar Narendra Singh.